From art to seasaws to Dorchester Heights to wearing green and not turning green, there is a lot going on this weekend. 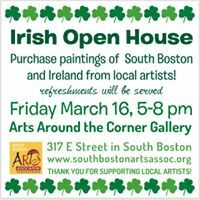 The South Boston Arts Association is hosting an Irish Open House tonight, March 16th from 5 pm - 8 pm at their gallery, Art Around The Corner. Purchase paintings of Ireland and South Boston from local artists including Fort Point artist Karen McFeaters. Light refreshments will be served. Art Around the Corner Gallery is located at 317 E Street (behind Neatly Nested). If you live in the neighborhood, you most likely know March 17th is St. Patrick's Day and the South Boston St. Patrick's Day Parade is Sunday. If you are new, you may not be as familiar with South Boston's historic ties to Evacuation Day. In 1776 Col. Henry Knox moved 50 cannons from Fort Ticonderoga to Dorchester Heights much to the surprise and dismay of the British who later evacuated 3,000 men and ships from Boston on March 17, 1776. The South Boston Citizen’s Association invites you to the annual Evacuation Day Memorial Mass celebrated by Father Joe White on Saturday, March 17th at 9 am at St. Augustine’s Chapel located at 181 Dorchester St., and the annual Historical Exercises to celebrate Evacuation Day at 10 am at the Dorchester Heights Monument. Watch the 2017 Evacuation Day Promo. Closer to home it's a St. Patrick's Day Celebration at the Seasaws at Seaport Common from 11 am - 4 pm on March 17th. Enjoy food, live Irish music and local craft beers for the over 21 crowd. There will be family friendly lawn games, a chance to win prizes and of course, no visit would be complete without hopping on a seasaw. Seaport Common is located at 85 Northern Avenue. In addition to shamrocks, there are flowers galore at the Boston Flower & Garden Show this weekend at the Seaport World Trade Center. Now about this Sunday's March 18th St. Patrick's Day Parade at 1 pm, we suggest you check out Caught In Southie's ultimate guide for all the details on where to watch, public bathrooms and general tips by seasoned parade watchers. View the parade route. If you wish to avoid the crowds, NECN will stream live and on air the parade starting at 12:30 pm. Coverage for St. Patrick's Day breakfast hosted by Congressman Stephen Lynch and Councilor-At-Large Michael Flaherty begins at 10 am. Remember bars throughout the neighborhood will close at 6 pm on Sunday. The Fort Point Arts Community presents Misremembered, a group exhibition examining the ever-changing emotional resonance of past events and how they can transform our perceptions of memory as we mature. The FPAC Gallery show runs now through April 12, 2018. An artists talk takes place this Sunday, March 18th at 1 pm. The event will incorporate working with the public to create a site-specific installation of accordion books that bridge the gap between two-dimensional and three-dimensional works. The opening reception of Misrememebered is Friday March 23d from 6 pm - 8 pm. 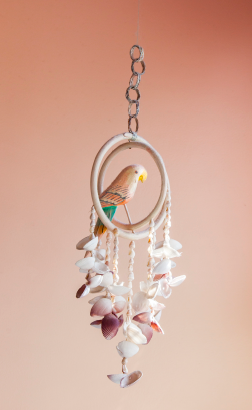 Come see the artists intertwine displays of glass sculpture (Katie Dye), prints (Amanda Kidd Schall), and photographs (Brittany Severance) creating an experience similar to the process of making memories. The FPAC Gallery is located at 300 Summer Street.